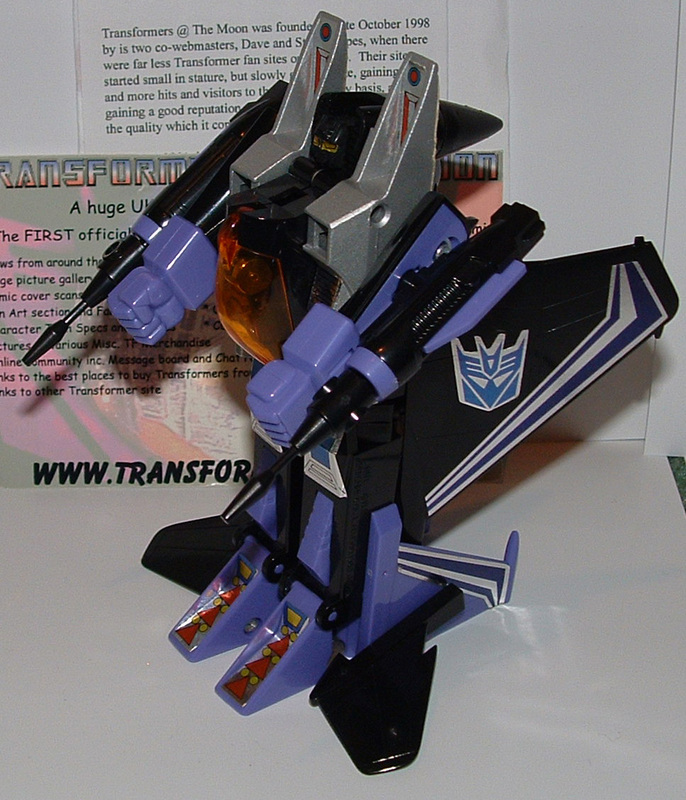 Welcome to the toy review, image gallery and information page for Generation 1 Skywarp . 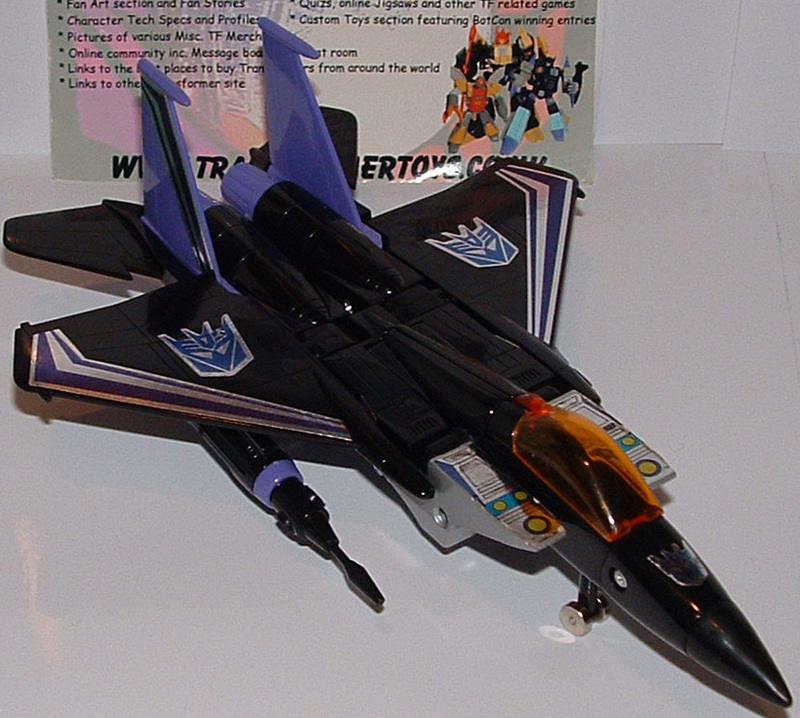 Profile: Skywarp is the sneakiest of all Decepticons. 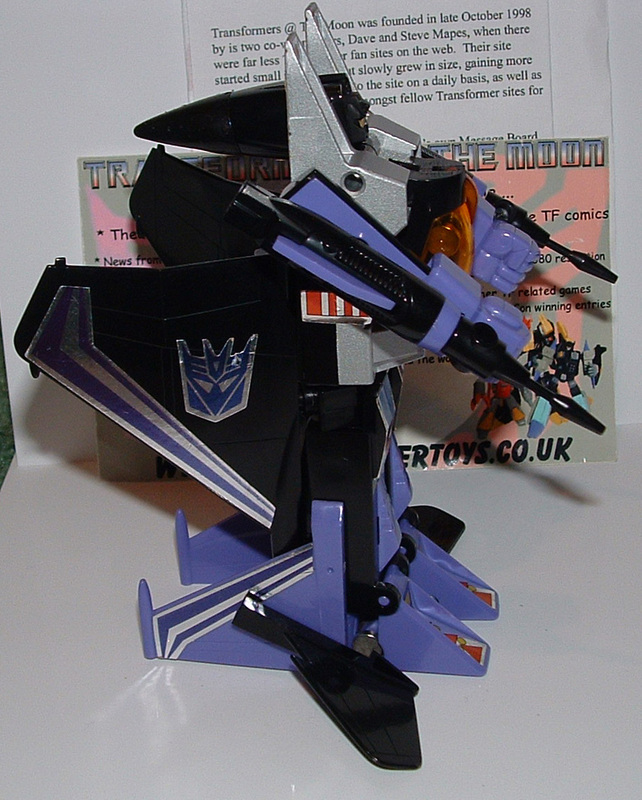 Enjoys playing cruel pranks on fellow Decepticons and appearing out of nowhere to attack Autobots. Not too smart. 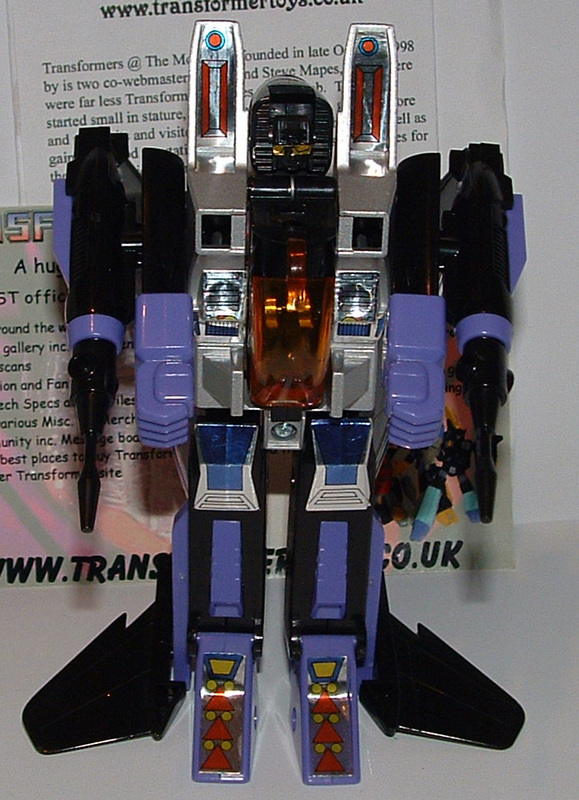 Would be useless without Megatron's supervision. Top speed of 1500 mph. 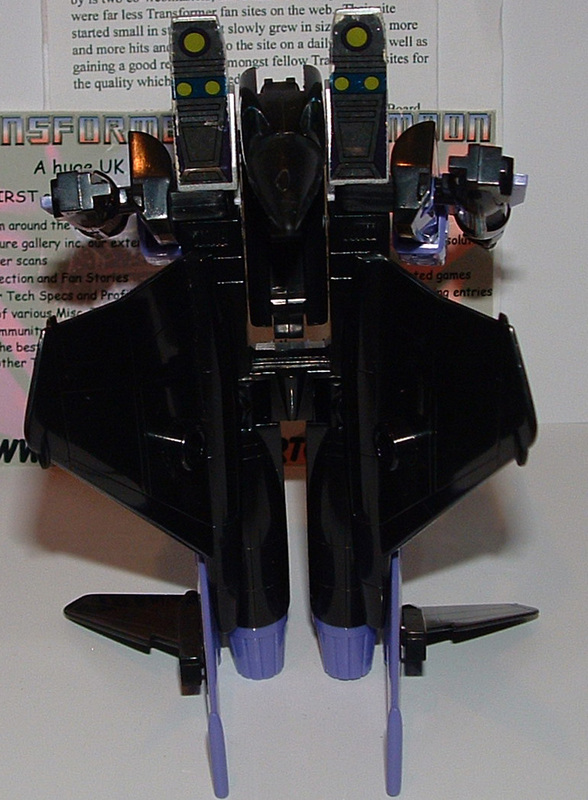 Can instantly teleport up to 2.5 miles. 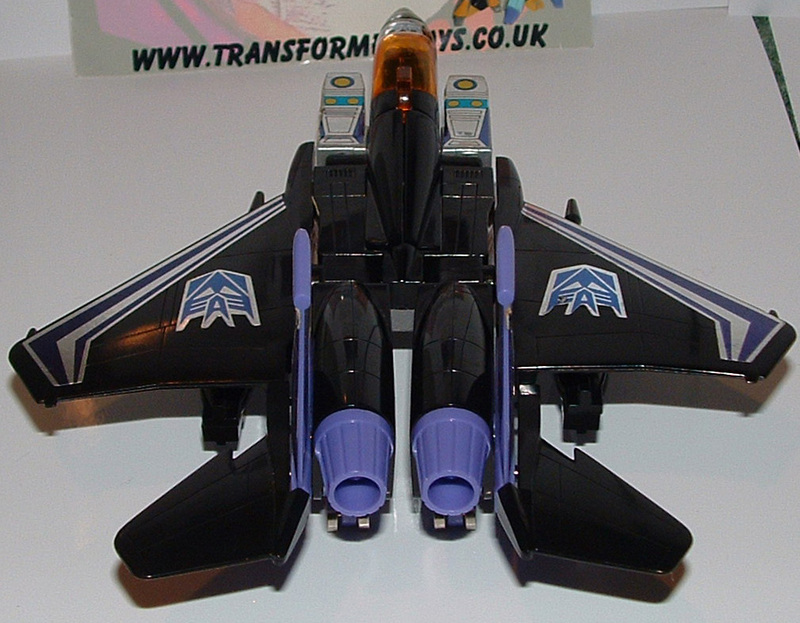 Carries heat-seeking missiles and variable-calibre machine guns. 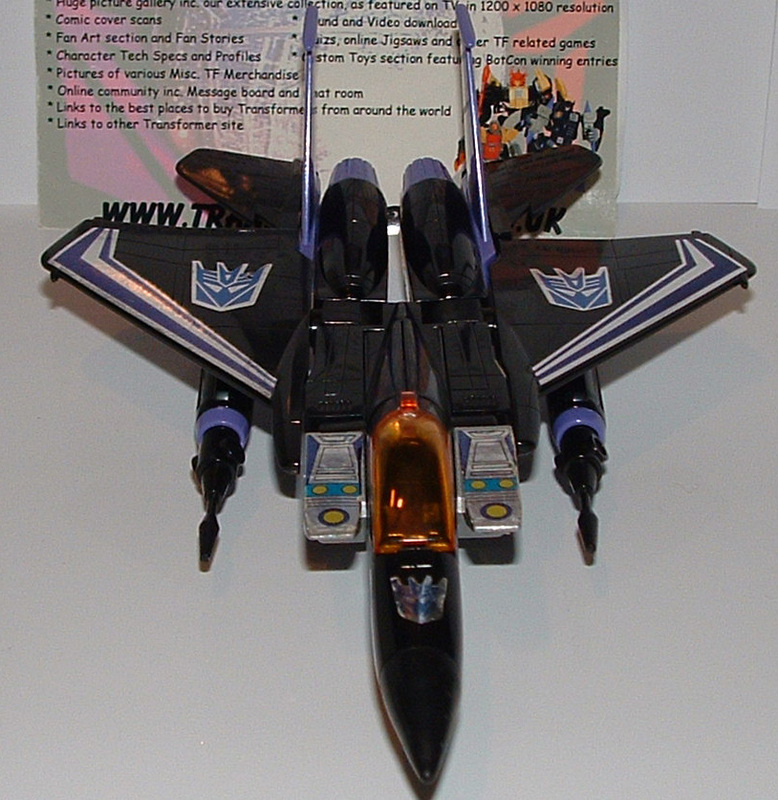 The following tags have been associated with this Generation 1 Skywarp gallery. Page Rendering Time: 0.241 seconds.